We’ve just switched over to using Gravatar everywhere for author images (commenters were already supported). So if you write posts on Web2Ireland or leave comments, sign-up on Gravatar and then we can all see your ugly mug on everything you do here. Short.ie is a free URL shortening service allowing you to truncate long unfriendly web addresses into a short and easy to use URLs, perfect for email, IM, Twitter and Texts. This isnâ€™t the first URL shortening service but itâ€™s definitely my favourite for one main reason, the data it provides about the URLs I have shortened. When I shorten a URL, I can see how many people have clicked on the links. Of the many URL shortening services that exist, the majority provide super short URLs but I haven’t seen any that provide numbers on how many people clicked on my links. This can be very handy. You could send out a text or a mail shot and see how many people are clicking on your links. Or how about shortening your email address? Your email address is probably short enough already but it could be a great way to fool those email harvesting bots trawling your site for your email address. A bookmarklet for IE and FF. So far there are over 50 registered users ( Shorties? ) with over 700 URLs shortened and over 5,000 clicks of those URLs! See the chart below for this weeks usage. Weâ€™d love it if you could help spread the word. Weâ€™ve got a lot of plans for Short.ie, so if you havenâ€™t already seen it, start shortening some URLs orÂ follow Short.ie on Twitter. A never-ending conversation I have with other start-ups is how get their name visible, build profile and eventually get covered by one of the main Tech News sites. One way of kicking that off is to make sure your company is profiled on CrunchBase. We’ve recently started using the plug-in here on Web2Ireland to give extra context to stories. And ye know what? The TechCrunch guys love that we are. It really is gratifying to know that the efforts made by the start-up community in Ireland are recognised by the guys in Silicon Valley.Â So what you waiting for, sign up now! This year’s it@cork conference is titled “GREEN IT – Reduce CO2, Raise Profits – Technology in Business Conference 08″. There can be a tendency in business to think that anything Green is a bit happy clappy and this conference aims to address that myth head-on. With speakers from BT, IBM, Dell and the ESB, you are unlikely to find a pair of sandals between them. It is being held in the Radisson SAS Hotel in Little Island in Cork. I still rate Le Web 2007 as my conference highlight last year. A fantastic mix of people in a superb venue, I headed home full of excitement and ideas. It’s looking like 2008 will be just as good and the lovely organisers have given us a discount for Web2Ireland readers. Just enter the code “BLOGDISCOUNT” on the registration page to get 20% off the list price. If you are trying to figure out your conference-attending budget for the next 12 months, I genuinely think Le Web should be a priority for you. Every major player in tech, media and finance across Europe and a lot of the US will be there. It’s the type of conference where you can walk up to anyone, famous or not, and they’ll be happy to talk to you. You don’t have to send them your biz plan a month in advance and hope you are short-listed to get an audience with them. The networking opportunities are superb and the talks of very high quality. I only wish there were more flights from Cork. Walter just announced Pixenate on Demand. Pixenate on Demand – enables you can subscribe to 3 Subscription packages and is ideal for startups and web services running in shared hosting environments. Pixenate continues to offer affordable Image processing for web publishers. Check out the Future Of Web Apps – Dublin 2009 website and our previous coverage on the event. Stella Power just let us know that Drupal Ireland is organising a day long conference on the open source Drupal CMS.Â It’s taking place this Saturday (15th November) in DIT, Kevin St,Â Dublin 2 and will run from 9:30am to 4:30pm. Â Registration is free but please sign up hereÂ so they can gauge numbers. demand for people who know this software and demand is growing. Drupal‘s many features and add-ons allow it to be used for a varietyÂ of website needs; including for marketing, internal communications,Â informational websites, and for social networking purposes. The event is being organised by the Drupal Ireland user group, whichÂ is a volunteer membership group. Â The group is comprised of developersÂ who use Drupal everyday; who contribute to Drupal core, Â documentationÂ and maintain popular modules. Â If you’re interested in attending, more information on the sessionsÂ and the schedule can be found atÂ http://groups.drupal.org/node/15895. Future of Web Apps comes to Dublin Friday March 6th 2009! 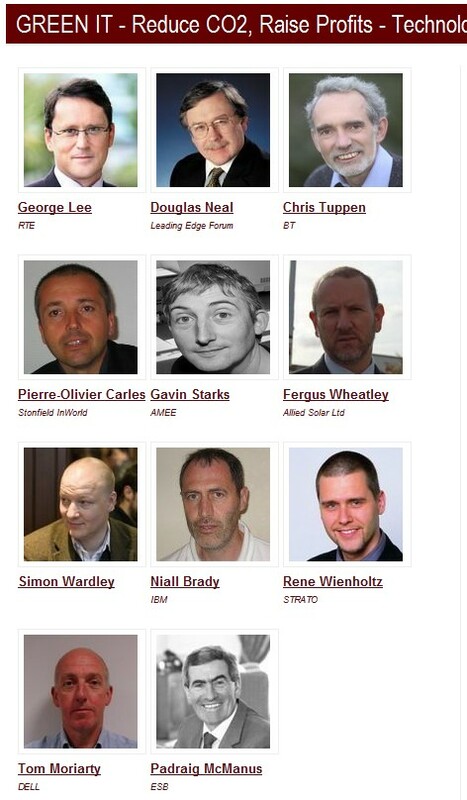 speakers in the industry with us! The date for your diaries is Friday 6th March 2009. The event will take place at Liberty Hall - in the heart of Dublin, and in true FOWA style will be followed by a few drinks at the after party! Tickets go on sale very soon so keep watching this space!